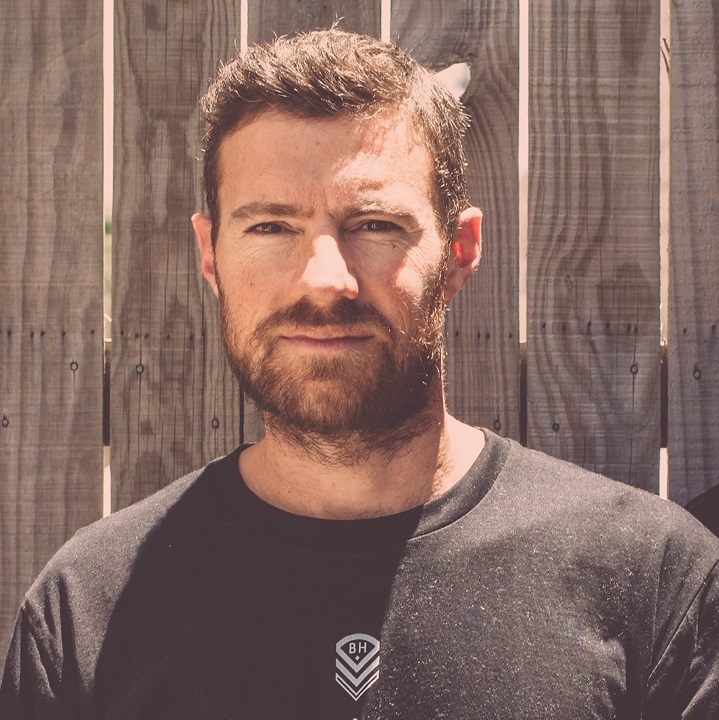 The following group of entrepreneurs hail from a wide range of industries, proving that success has many fathers - from swimwear to property and technology in between. 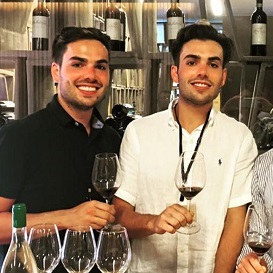 AFTER an enviable upbringing ensconced in Italian tradition and cooking, twins Alec and James Carney saw an opportunity to bring a new Italian dining option to the Gold Coast. Their view that the city was lacking in genuine Italian cuisine proved spot on as their restaurant, Gemelli Italian, has locals and visitors alike salivating. "Coming from a family of Italian heritage, we were brought up to appreciate good food and, most importantly, how to cook it," Alec Carney says. "Whether it be annual sauce-making, salami or simply sharing food and wine with family and friends, we have always had a passion for Italian culture." The pair now have a second restaurant and a food truck in Brisbane, which could be the precursor to a restaurant in Brisbane. DAN Norris linked web developers from across the world to create a subscription-based service agency, WP Curve, which is focused on WordPress websites. Contemporaries initially were sceptical of the idea, but it very quickly proved a winner. "My previous business took one year to obtain $476 per month recurring revenue, but within a week of starting WP Curve I had $476 recurring revenue," says Norris. 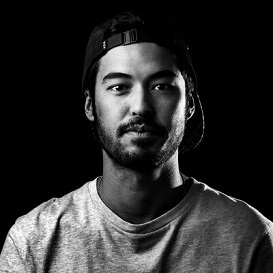 Norris had given himself one year to set up a successful new venture, after selling his previous web design company in 2006. It was fortunate that the idea was successful, as at the time Norris had run out of money and was looking at returning to the regular workforce. Never one to rest on his laurels, Norris constantly has new business ideas on his mind. He's also an educator and has written e-books to share the knowledge he has gained in his journey as an entrepreneur. SOCIAL media marketer Luke Maguire has made a name for himself on the US speaking circuit, including stints in Las Vegas to teach people his ways. With a full suite of products designed to boost a company's following, Social Media Mansion has managed to be first to market with them all. "Over the past two years I have developed software solutions for social media marketers that help solve problems that have never been solved before," says Maguire. He has developed solutions including Instamate, LIVELEAP, Octosuite and InstaEasy. "Those tools have gone insane over the last two-and-a-half years," says Maguire. WHILE architecture and construction may be considered industries dominated by larger legacy companies, Mark Deacon and Jake Robinson have certainly broken the stereotype. The duo created Superdraft in 2011 to revolutionise drafting and engineering, today offering a full suite of services from design, drafting, engineering and finance. In FY16, Superdraft experienced 241 per cent growth, an achievement that Deacon and Robinson put down to marketing prowess, dedicated R&D and the launch of a new unique virtual reality showroom platform to tie in with the business offering. "We are 'uberising' what we are doing. We are streamlining our services, becoming to the construction industry what Uber is to the transport industry," says Deacon. "Now we are targeting many different industries including project home building, retail and product, in addition to development and construction." Superdraft completes more than 1000 projects each year throughout Australia, with Deacon and Robinson now setting sights on international markets. FADY Hanna sees his business, Flagship Digital, as an investment firm working in marketing and lead generation. Having worked at an international bank, Hanna saw first-hand a results-driven mentality that he felt many marketing businesses lacked. It is a mindset that has driven strong growth at Flagship Digital and its international expansion into London, New Zealand and soon Hong Kong. "We work a lot with startups, but would say our main target market would be clients at the point where expansion is the first priority," Hanna says. "The lead generation arm of the business generates 200,000 leads every month for clients at a fraction of the cost compared to other methods. "This, partnered with real-time metrics and analytics on the performance of these leads, gives both our company and clients the competitive edge." KARINA Irby, founder of swimwear company Moana Bikini, is living proof that a business person can achieve stellar success when they get a little bit cheeky. The avid-beach goer fell in love with Hawaiian-style bikinis while on a holiday, before finally deciding to dive into her own designs in 2011. "I started off with 10 pairs of wholesale San Lorenzo bikinis; I did a photoshoot, nothing too glamorous, and they sold out instantly," says Irby. "Within just under 12 months we were ordering that much wholesale stock that our suppliers couldn't keep up. "That's when I started teaching myself about fashion design and business, to come up with my own suits." For the last three years Irby has been designing her own cuts and has amassed more than a million followers across various social media platforms, in addition to a dedicated base of customers she affectionately calls her 'army of Moana Babes'. KRIS Simmons, director of accounting firm Simmons Livingstone & Associates, has been perfecting his profession since the day he left high school. 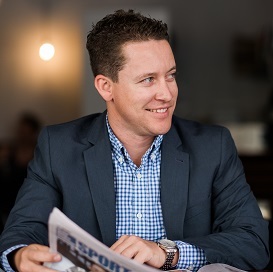 Prior to establishing his own Oxenford-based company in 2013, Simmons honed his skills in the accounting space for 15 years across various fields in business advice and compliance. 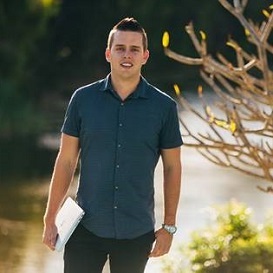 Simmons has led the expansion and growth of his company into a solid standalone practice, in addition to creating a significant web of referrals throughout the Gold Coast. "I think we have become more proactive than many other practices out there, and we are the first point of call," says Simmons. "We have a great referral network of commercial brokers, solicitors and real estate agents and we feel confident that our level is going to be matched through referrals. That is the difference between us and other firms." Simmons Livingstone & Associates is now moving further into the financial planning space, keeping in line with the latest changes in legislation. 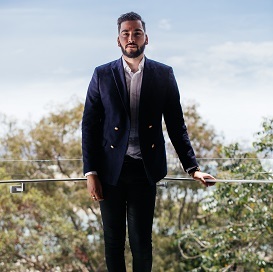 AFTER years of working with corporate car dealerships and a stint selling his own brand of designer jeans in between, Anthony Simon has found his true calling with ApprovalBuddy. The platform acts as a 'virtual dealership' which allows you to buy a car online and have it delivered, with the financing, mechanical inspection and transfer papers all taken care of. Simon says about 90 per cent of ApprovalBuddy's clients are millennials, with the majority being female. "There's people that are tech-savvy, but it's also people that don't have the time or know-how to go about purchasing a vehicle that they like," Simon says. "They don't even have to see the car in person. When they're happy to go ahead with the purchase, we deliver it to them without having to test drive it - that's the new generation." 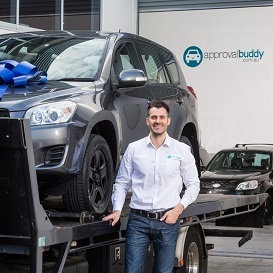 ApprovalBuddy has already marked strong growth, with plans to expand its trusted seller network across Australia. AFTER a six-year hiatus from the real estate scene, Michael Kollosche is back in a big way. 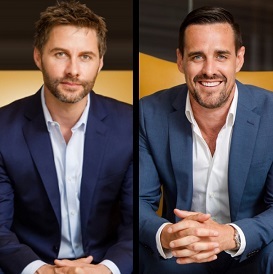 The former master of Millionaires Row teamed up with JWP Group managing director Jordan Williams earlier this year to launch Kollosche Prestige Agents. The boutique agency has made a splash along Isle of Capri, Paradise Waters and Mermaid Beach with record sales, including one-time Billabong executive Scott Perrin's mansion, Tidemark, for $25 million. "My passion is selling real estate and it's been good to be back in the market," Kollosche says. "A lot of prestige clients are starting to move away from the bigger brands, because they get treated just like a number rather than personalised service and ensuring the right results. "We're not taking on a massive amount of stock and just processing it. We're actually selecting quality and getting the results, that's the biggest standout between us and the major brands." Kollosche has also founded a cancer research company which funds and develops immunotherapies. NIC Nichols believes the world is a better place when people live their lives with passion and enthusiasm, and he is one of those people. That character shines through in his agency 40/40 Creative, and it rubs off on its diverse array of clients. Having worked with government departments, private companies, independent brands and artists, 40/40 has shown a remarkable dexterity. "The way I see it, the people and creatives who love the world are the people who change it and make it a better place," Nichols says. "Being a designer and understanding branding has allowed me to work with people and their brands to understand how business logistics work. Most of the fine details I've had to work out myself, which is all part of the journey." 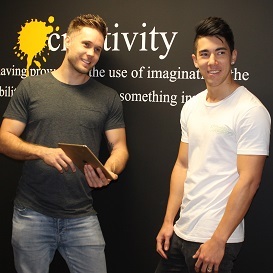 40/40 Creative is quickly creating an enviable name in a competitive industry.